Sometimes you just need to hit something. These bags are here to keep you out of trouble. If that's not fun enough for you, join in on a class, so you can to hit them along with your mates. Bodybuilders and physique chasers aren't going to be dissapointed either. From pin loaded to plate loaded machines. Also a whole lot of unique equipment you won't find in most mum and dad gyms. Feeling a bit wild? Need a little bit of fresh air? Take that truck tyre outdoors and flip it like a boss! Our outdoor area is soon to be expanded, watch this space. Cages made by Rogue, calibrated steel plates, power bars, deadlift bars, a Glute Ham Raise and a whole lot of chalk. That says a lot about us. Release the toxins in your body, and help recover from your training. 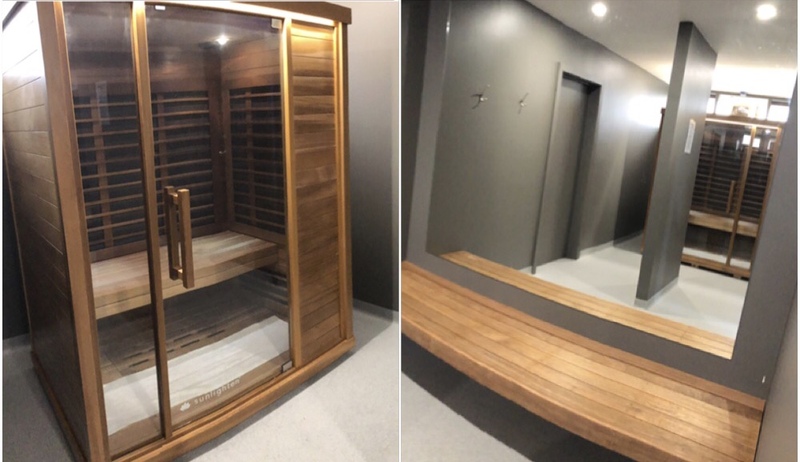 Our Sunlighten Infrared Sauna in Burwood is available for booking.